With it being carnival season around the world, I thought I would highlight our school's Carnival experience in Spain in 2011. To give you a little background for any new readers, we lived in the suburb of Alcobendas, outside of Madrid, for just over a year. While there our kids attended a public Spanish school. Each day of the week leading up to a school parade, was a theme, similar to Spirit Week in the US. You can read about it here. At the end of the parade the Entierro de la Sardina was performed. 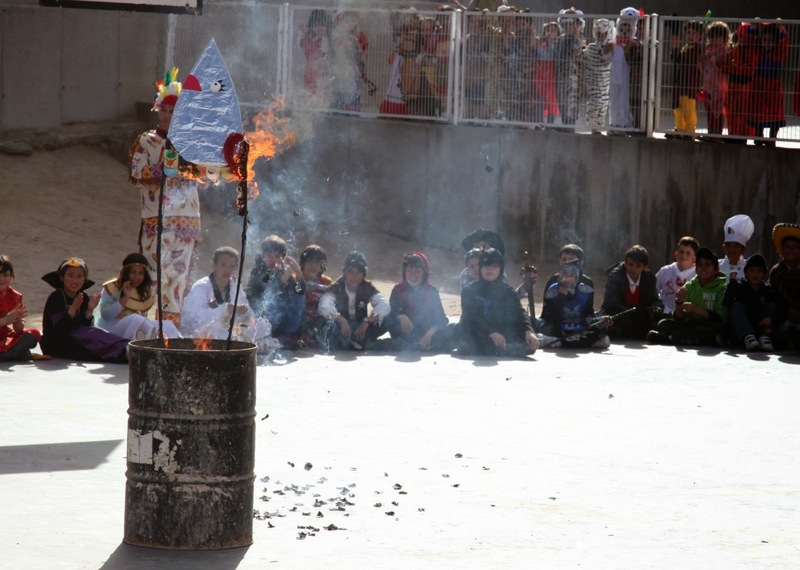 The burial, or in this case, the burning of the sardine. The link explains extensively how it is celebrated around Madrid. The tradition varies around the country. The kids were given 2 sardine scales and instructed to write something that they want to see disappear. It could be a poor attitude, a bad habit, etc. 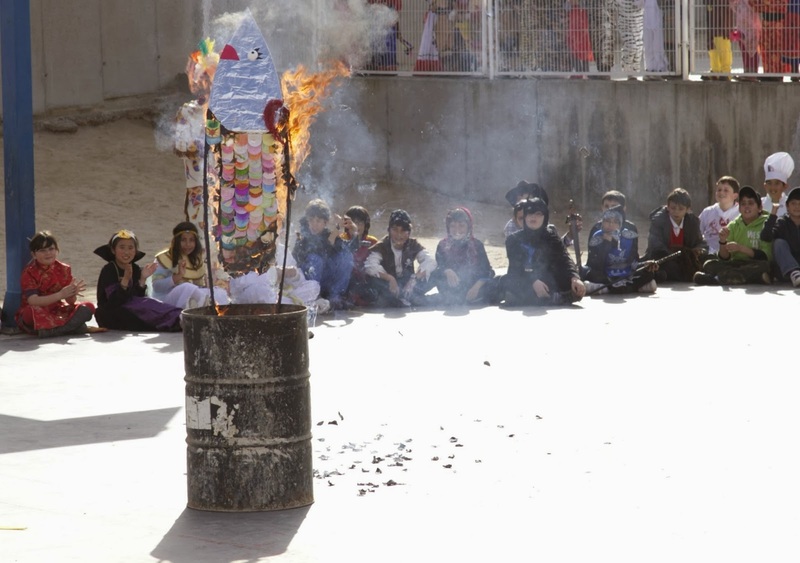 The burning of the figure of a sardine symbolizes an act of cleansing. Burning of the old allows the growth of the new. Burning a figure at the end of riotous days of partying allows order to be restored in preparation for the observation of Lent. Everything is put right by this one act at the end of it all. We loved witnessing and joining in the celebration of Carnival. 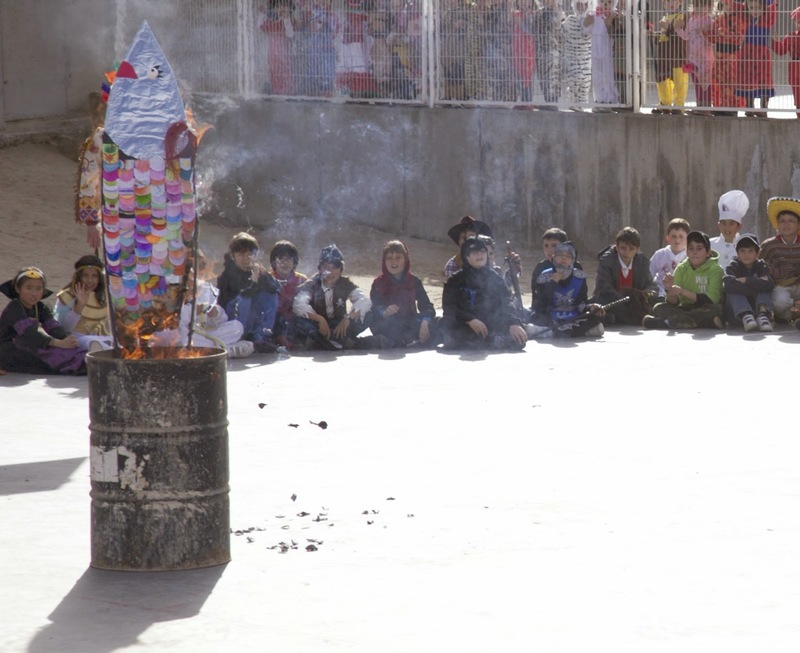 Have you observed Carnival in Spain or somewhere else around the world? Each week Bonnie, Melanie and I feature a post from the previous link up. 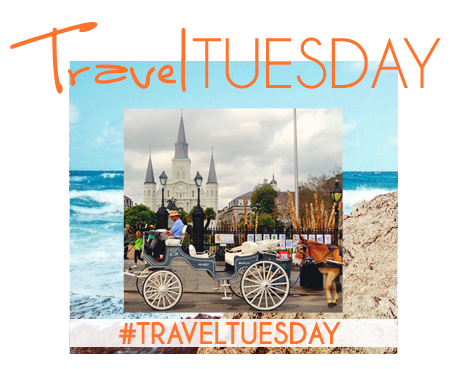 I really enjoyed Carly's post, from Let us Wanderlust, on New Orleans. My husband and I spent our honeymoon in New Orleans and remember these tricks pulled on the streets of New Orleans. It's enjoyable to read about her adventures across America as an Australian expat. 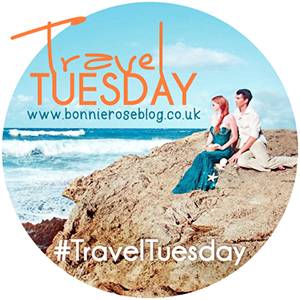 Want to join in Travel Tuesday? 1. SHARE a post about travel! From road trips to trips abroad and from past travels to dream vacations. You can write about travel tips and tricks, favorite places to stay, or anything in between! Just make it about traveling somewhere! 2. GRAB the lovely button. If you run into trouble, just make sure to mention Bonnie, Melanie & Tina in a link! 3. LINKUP goes live every Tuesday at 0800 GMT. 1. Please only one linked up post per blogger. Save other posts for future linkups! 2. The last Tuesday of every month will be a themed prompt if you want to join in! 3. HOP around and meet new travel loving bloggers! Check back to visit some of the newer travel posts! 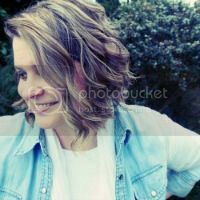 I love hear from readers and connecting with you! Hiya! I'm Tina. Alaska girl turned expat. After 17 years as missionaries from Russia to England and places in between, we're repatriating near Austin, Texas. We've shared about our family, expat life and our love of travel and food. Now we find ourselves living in a third culture world, loving and missing Europe, figuring out "home" and trying to fit in to American life. I've taken a long break from blogging, but have found all kinds of things rattling in my head. It's time to use this space to process our endless repatriation journey and all the things God is revealing to me through it and a renewed passion to grow deeper in His Word. Join me!